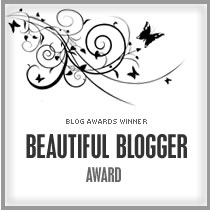 I’m proud to announce that I’ve been nominated for the Blog of the Year 2012’ Award by Eunice of Living and Lovin whose blog I so much admire. Her posts with their beautiful photos, and wise but often humorous words, give me endless pleasure. In my turn I would like to nominate http://philosbooks.com/blog/ for an informative and entertaining blog which is of interest to both my husband Clive, and myself, as writers. Its author Penelope has been a great support to us both. One of her latest pieces has a link to an article entitled The Daily Routines of Famous Writers, which particularly interests me. I love the ‘examination of conscience’ which Benjamin Franklin puts himself through every day. I’m reassured to note that only some of the famous writers get up at ungodly hours like 4.00 or 5.00 am, which is often viewed as the norm if you want to get anything done. I personally find the early morning conducive to going on a journey, particularly a pleasant and exciting one, but to write – forget it. Such hours are far too ‘silvery’ for me – they make me feel etiolated (I love that word) and depressed. I would suffer far too much to write well. Having said that, both Clive and I need to find a way (in the New Year, perhaps) of making our days count for more. We’re constantly trying to force a quart into a pint pot with never enough time for anything. It may be significant that the desktop photo which Clive chose for my new red laptop when he was setting it up for me was a dandelion clock – that most whimsical and eccentric of timepieces. Dewdrops and dandelion clocks are two things I photograph again and again trying to catch the perfect image. 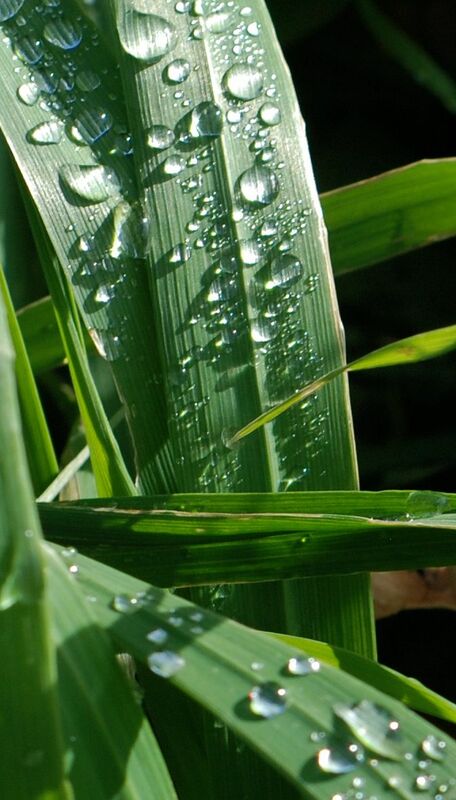 The dewdrops in this photo are dedicated to early morning exciting journeys. 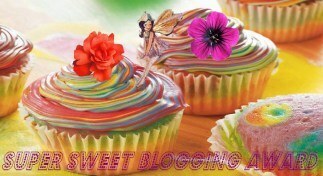 Congratulations on your award and thanks for sharing it with another deserving blog!